The People's Liberation Army (PLA) Air Force conducted a combat air patrol in the South China Sea recently, which will become a "regular" practice in the future, said a military spokesperson on Monday. 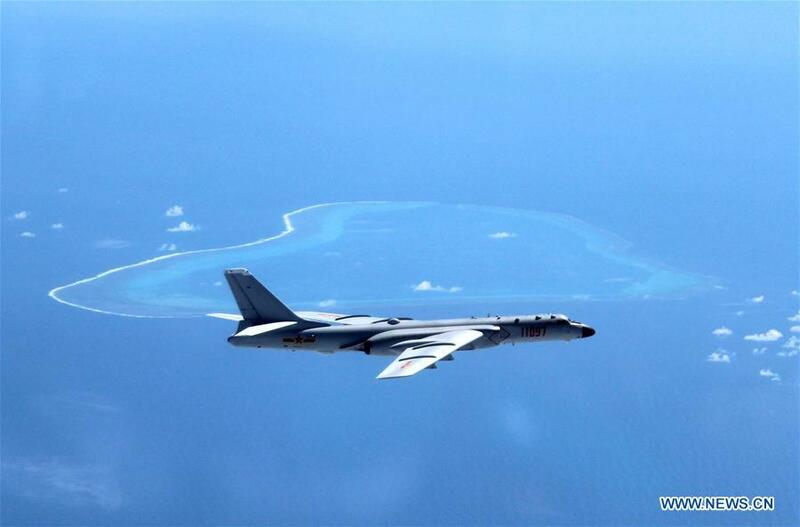 The PLA sent H-6K bombers and other aircraft including fighters, scouts and tankers to patrol islands and reefs including Huangyan Dao, said Shen Jinke, spokesman for the PLA Air Force. During the mission, the aircraft carried out tasks including aerial scouting, air combat and island and reef patrol, fulfilling the patrol's objective, Shen said. The Air Force aims to promote real combat training over the sea, improve combat abilities against various security threats and safeguard national sovereignty and security, according to the spokesperson. "To effectively fulfill its mission, the air force will continue to conduct combat patrols on a regular basis in the South China Sea," he said. Shen pointed out that the South China Sea Islands have been China's territory since ancient times, and China's rights and interests in relevant maritime areas should not be infringed upon. "The PLA Air Force will firmly defend national sovereignty, security and maritime interests, safeguard regional peace and stability, and cope with various threats and challenges," he said.